Aria Group is a 21-year-old design company that builds concept cars for major automakers. Some of the concepts that left a mark among the enthusiasts include the Kia GT4, Stinger Mazda Furai, and the Ford GR-1. 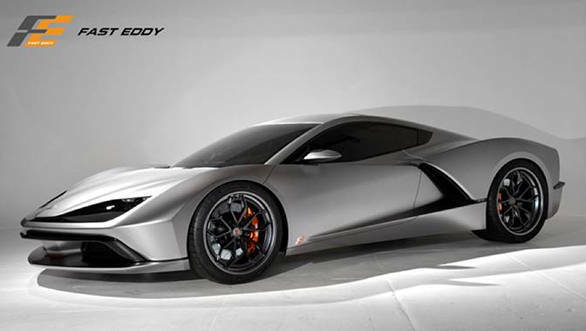 The design firm will soon be rolling its all-new supercar called the FXE at the Los Angeles Motor Show on November 30. Looking at the design of the previous concepts, it is natural to assume that the Aria FXE supercar too will have a ravishing design. 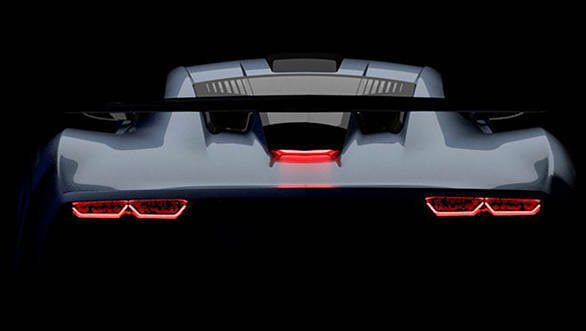 The teaser image of the Aria FXE merely reveals the LED tail lights, flowing lines, bulging wheel arches, an air scoop at the centre and a wide spoiler. The styling of the Aria FXE takes some inspiration from the Fast Eddy concept which was a mid-engined Chevy Corvette. This particular concept was powered by a 6.2-litre supercharged V8 that put out 650PS of power and was responsible to make the concept reach close to 100kmph in 2.6 seconds and claim a maximum speed of 337kmph. The powertrain option that will be offered on the Aria FXE supercar is still not out. Though there are speculations of a V6 powering this one, a possibility of a hybrid powertrain cannot be ruled out. The technical details and full features of the Aria FXE will be revealed at the motor show. The design firm has also made vivid concepts for hollywood movies such as the Tron Legacy, Transformers and Halo.